At Dr. Wong & Associates we pride ourselves in our contact lens specialist's ability to proved each client with what they need. Given the broad selection of eyewear available today, choosing the right eyewear to suit your particular needs can be a daunting task. 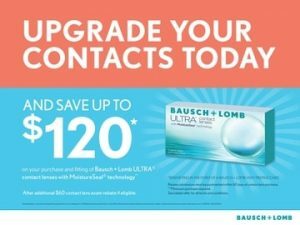 Between lens type and elective options, frame materials, shapes, and all the different categories of contact lenses, making the choice can sometimes be overwhelming. The team of qualified opticians at our Danbury and Stamford, CT opticals is available to assist you in making the right eyewear and contact lens choices. They know the right questions to ask to help you make your decision. Drop by today for a consultation. This revolutionary new contact lens for fuses HydraGlyde technology with SmartShield Technology to provide moisture and comfort for the whole month wearing cycle. With AIR OPTIX® COLORS contact lenses, enjoy breathable*, comfortable, and beautiful contact lens wear in a full range of colors—with or without vision correction.